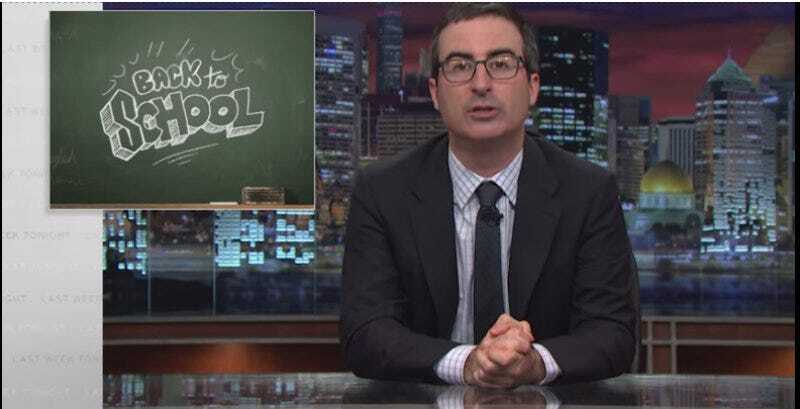 Oliver also debuted a handy Spark Notes-esque invention to aid with English classes, titled“John Oliver’s Guide to Everyone Who Dies at the End.” That’d be Lennie in Of Mice and Men, both Romeo and Juliet, most of the main characters in the Great Gatsby, and, invariably, the American Dream. Just say something about the American Dream and you’ll be fine. “You’ve basically just graduated your high school year,” Oliver declares. That’s actually giving most high schools slightly too much credit.